All our subscription boxes come with complete flexibility for your needs. You can order a single box or purchase a repeating subscription, you can even sign up for one box and then change to a different one - it's all in your control at any time of day or night! Choose a delivery period to suit your pet's needs and pause, modify or cancel at any time with no cancellation charges. Not used all the items in this months box? no problem, just 'skip' your next delivery or change how frequently you receive your order. To access these pawsome features you will need to create an account, login and then open your own personal subscription manager. If you need to create an account your login email should be the same as the one used when you setup your initial subscription. This ensures all of your subscription's details will be available to view and modify. Alternatively, the notification emails you receive will contain a link which will link you directly to your account. 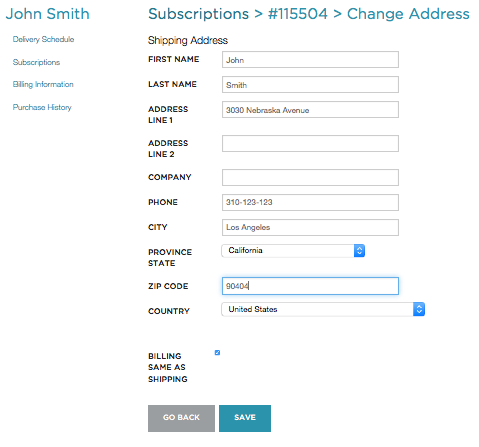 To update the delivery address for your subscription you will need to login to your account. This will open a pop-up where you can change the appropriate fields. You will need to login to your account. Once in your account, you will need to open the "Delivery Schedule" tab. Here you will see all upcoming deliveries for your subscription(s). To skip a delivery you just need to click "Skip" to the right of each relevant delivery. 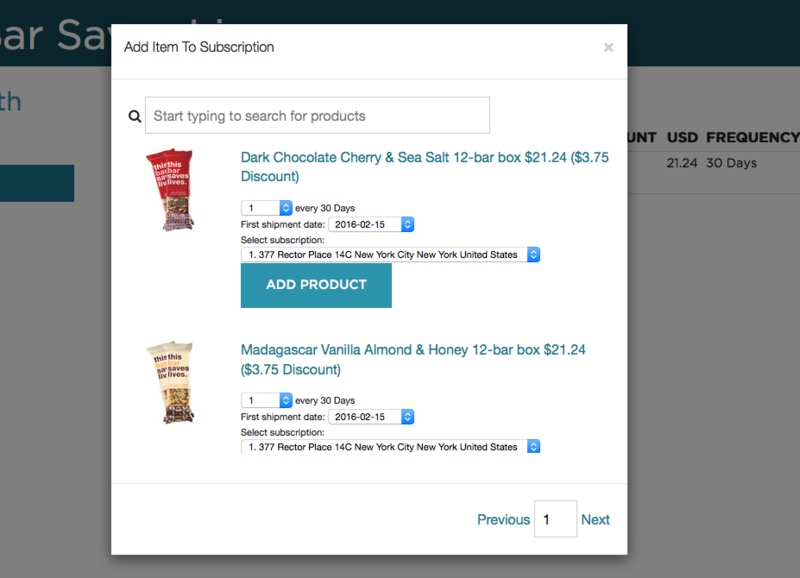 To add products open your “Subscriptions tab” and click “Add product”. This will open a pop-up where you can search for, view and select additional subscription products from our store to add to your upcoming deliveries. To change the frequency and variant of the product, open your “Subscriptions tab” and click the "Edit" button to the right of the relevant product. To cancel a subscription you will need to login to your account.